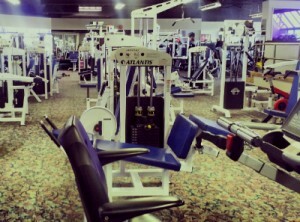 Planet Woman Fitness offers 24-hour gyms in Kamloops and Merritt, BC. If you are looking for a clean, modern gym with state-of-the-art equipment, friendly and highly experienced staff, flexible membership, fully certified personal trainers, and four locations to suit your needs (including a CO-ED location in Merritt), look no further than Planet Woman. Get back into shape, lose weight, gain strength or achieve any of your fitness goals with Planet Woman Ladies Fitness! Come down for a free tour of the club and discover all of our equipment, programs and amenities, offered within one of our facilities. With 24 cardio workout machines, 11 hydraulic circuit machines and 42 different strength training stations, we offer something for literally every level of fitness and body type. Our spacious and state-of-the-art workout studios feature sprung hardwood flooring, and are lead by professional and certified fitness instructors. Relax, cool down or catch your breath on our 900 square-foot balcony. Our health and wellness consultants will help you plan a realistic strategy to help you achieve your fitness and lifestyle goals. Our in-house personal trainers will help you understand the basic principles of breathing, core stability, tempo and joint movement and get you started with a customized program designed just for you. Please contact us with your questions or comments. You can drop us a line or call any one of our four locations – two Kamloops gyms (Brock & Valleyview) and two Merritt gyms (Granite Ave & Quilchena Ave (CO-ED). We would love to hear from you!